Home → Chemicals → Hillyard, Arsenal One, Dilution Control, Portable Dilution Control Kit, Dispenser, HIL99705, sold as each. 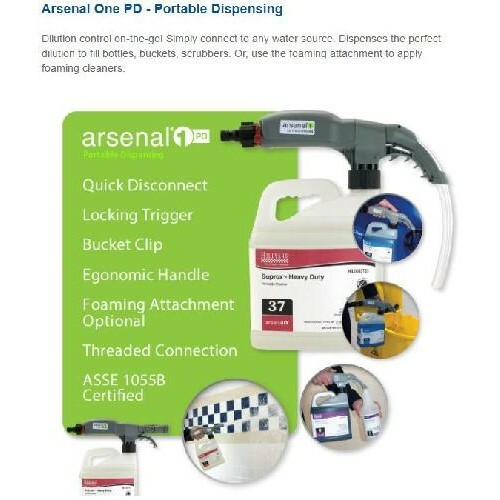 Portable dispensing gun for use with Arsenal One refill products. Kit includes dispensing gun, water hose and quick disconnects. Shown here with an Arsenal One refill.